Marina has over 15 years of financial leadership and corporate management experience working across various industry sectors and in both public and private enterprise. Most recently, from 2013 to 2018, she was the Chief Financial Officer and Vice President of Finance – Controller for Cloudmark Inc., a messaging security company which was acquired by Proofpoint, Inc. Previous to that, she held various finance roles at Unwired Planet, Inc. (f.k.a. Openwave Systems, Inc.), which was acquired by a private equity firm. Marina also spent over nine years serving clients in the technology industry with Ernst and Young and Deloitte. 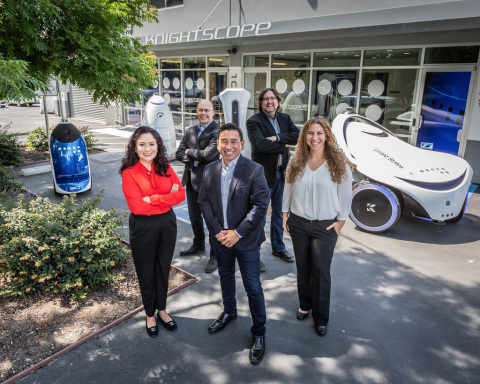 Knightscope and www.knightscope.com are operated by Knightscope, Inc. Investment opportunities are "private placements", are subject to long hold periods, are illiquid investments and investors must be able to afford the loss of their entire principal. Offers to buy or sell any security can only be made through official offering and subscription documents that contain important information about risks, fees and expenses. You should conduct your own due diligence including consultation with a financial advisor, attorney, accountant, or other professional that can help you to understand the risks associated with the investment opportunity. Security transactions are administered by WealthForge Securities, LLC, a registered broker/dealer and member FINRA/SIPC. Knightscope and WealthForge Securities, LLC are not affiliated.